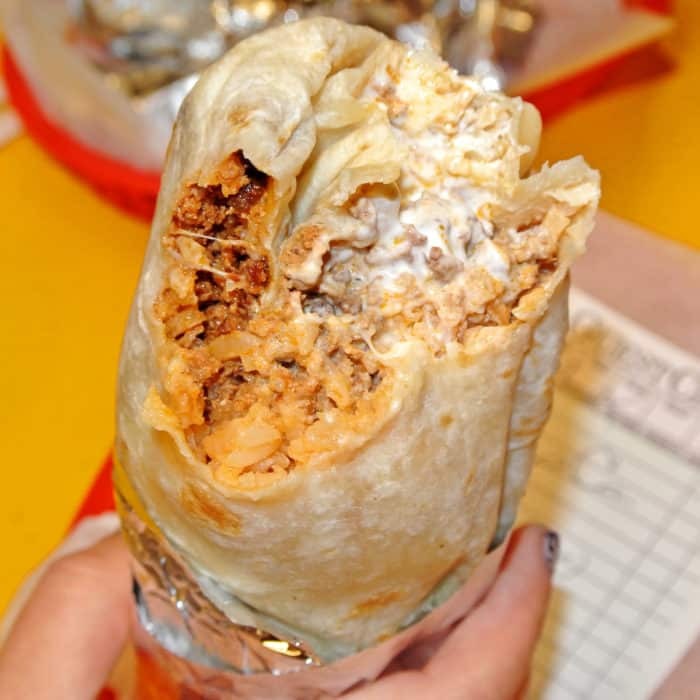 There’s been a lot of talk on the web recently about who makes the best burrito in the world. Nate Silver’s Burrito Bracket brought this issue right to the forefront and the Internet community immediately jumped in to battle to fight for who they believed was the real best. 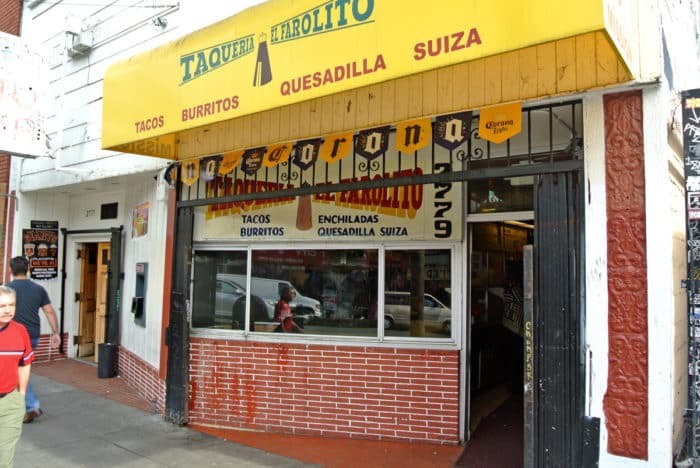 Now, I haven’t eaten nearly enough of the competing burritos to make a conclusive judgement on the bracket’s findings, but I recently took a trip to their #1 seed, but surprisingly early knockout, El Farolito, and I’m having a hard time believing any burrito in the world could be better than the ones they served to me. 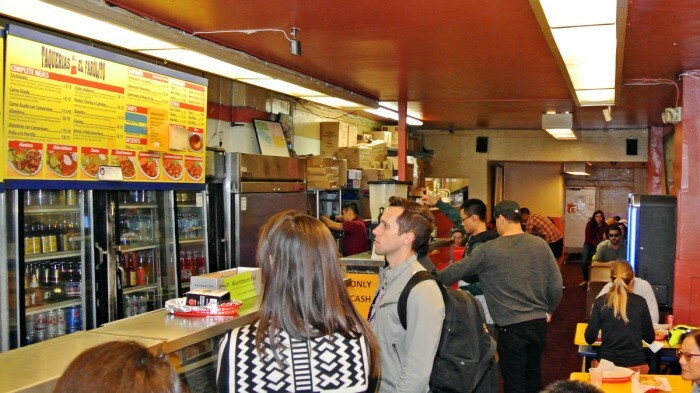 It’s a tiny, super-busy hole-in-the-wall in the equally as bustling San Francisco Mission District. And on this day – just like all others – it was filled to the brim with like-minded, hungry, and hungover patrons just like we happened to be at the time. We arrived at around noon and just barely beat the imminent lunch rush that flooded in right behind us. 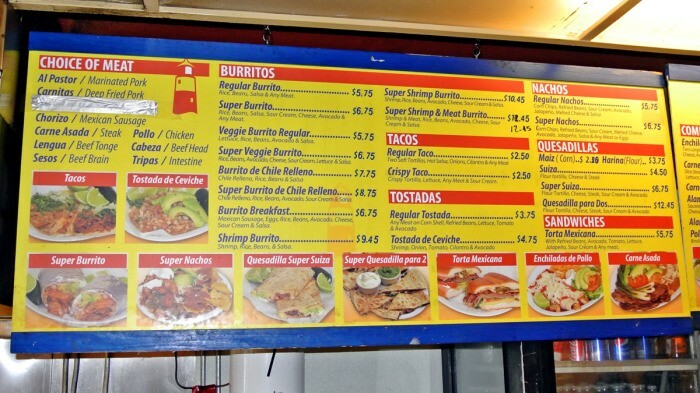 I knew from the shop’s reputation that these burritos were gonna be massive, so we stepped up to the register and cautiously we ordered only two super burritos between the three of us that would be eating together. This turned out to be a very wise decision as we were able to enjoy our meals without uncontrollably falling into an endless food coma like we probably would have if we had tried to eat a whole one each. 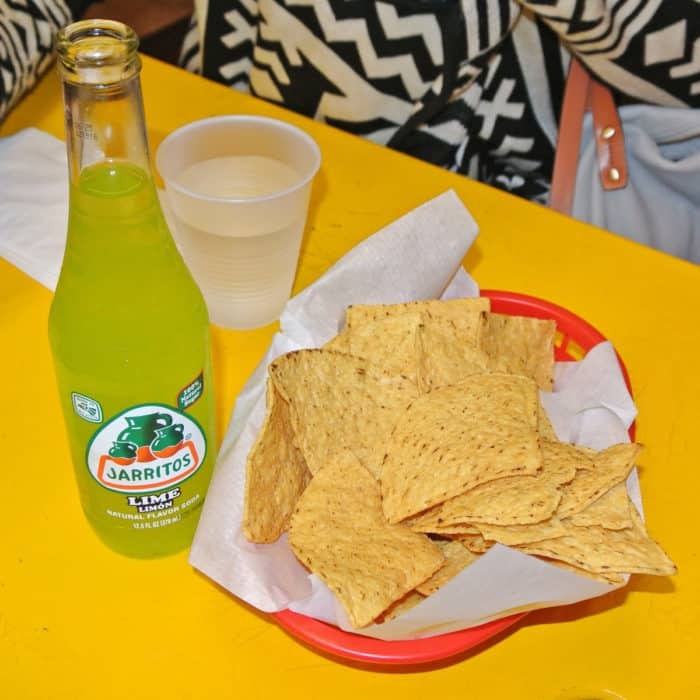 As we placed our order at the register, we were handed a big basket of Tortilla Chips and were informed that it was going to take a bit of time to receive our burritos. Honestly the wait wasn’t that bad – it couldn’t have taken more than eight minutes before we had the pair of the iconic Mission-style burritos in hand. But, the tortilla chips and trio of salsas were a truly excellent starter to tide us over and prime us for the main event while we waited. 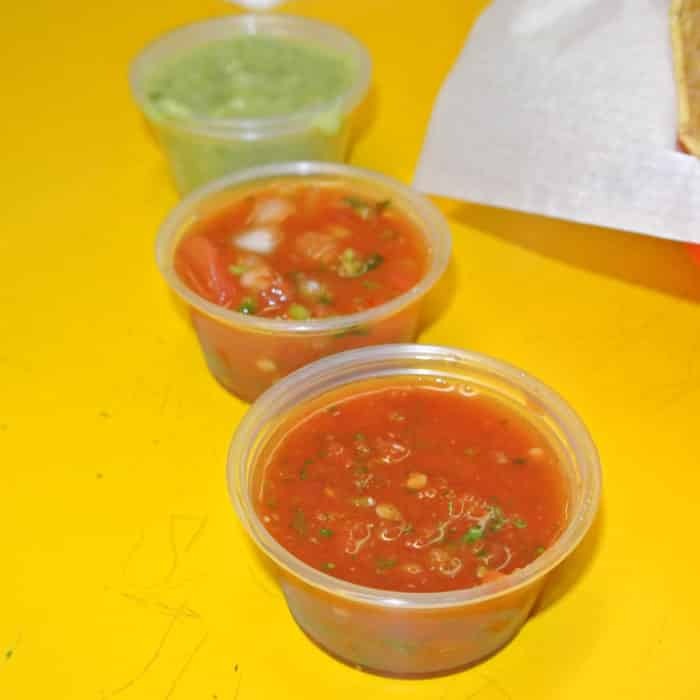 And all three salsas were outstanding. Really, I still can’t decide which one was the best. I was constantly changing my mind with every single scoop I took. I’d suggest consuming all three liberally. But then our number was hollered in both English and Spanish and our duo of foil-wrapped behemoths were handed over to us. We peeled back the foil on each and the three of us took turns taking a bite then passing like it was a weird burrito peace pipe circle. We didn’t care that we looked like psychopaths biting and passing, bitting and passing. 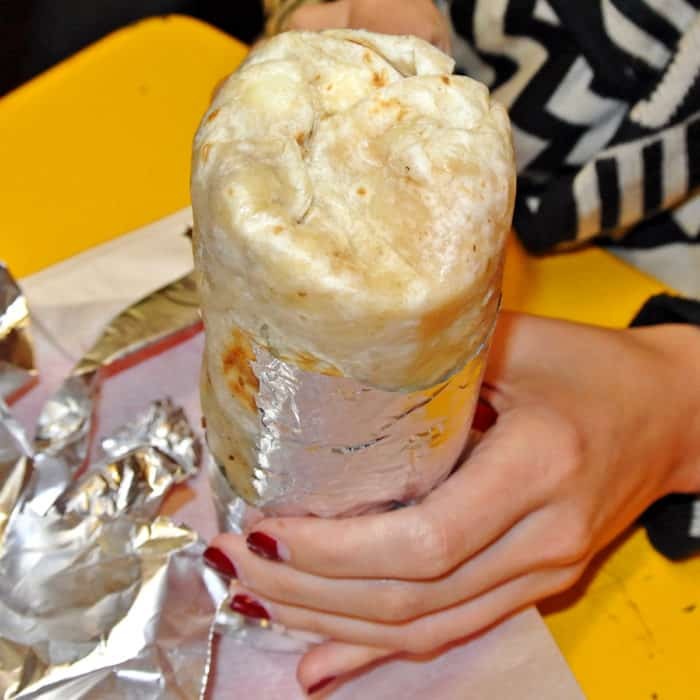 These burritos were incredible, especially in our painfully hungover states. 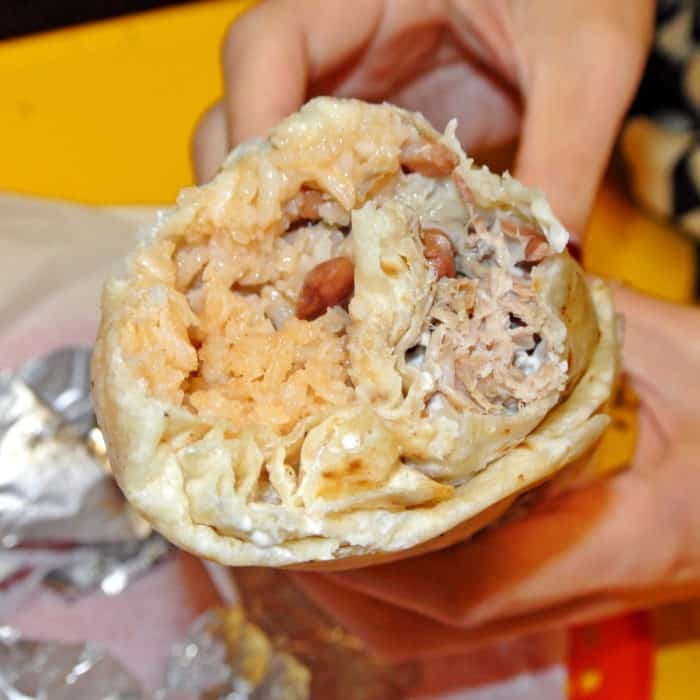 The first bite I took was from the Pernil Super Burrito. I felt an impressive heft as I lifted that meaty Mexican monster to my face and bit in. The bite was full of long, tender strands of moist pulled pork and it was cooked very well, though it was surprisingly mild in regards to flavor boldness. A bit of salsa poured right into the gaping meat and rice-filled orifice solved that dilemma up real quick. At only $6.75, this burrito was still a steal, but I certainly would have appreciated more garlic or other bold flavors in there without the need for salsa to boost it up. Still, this was better than anything I was able get back in NYC, especially at the price. But, then there was the Chorizo Super Burrito. Ohhhhhh, that chorizo! I’m not exaggerating when I say that the first bite of that thing nearly brought me to tears. It was that good. 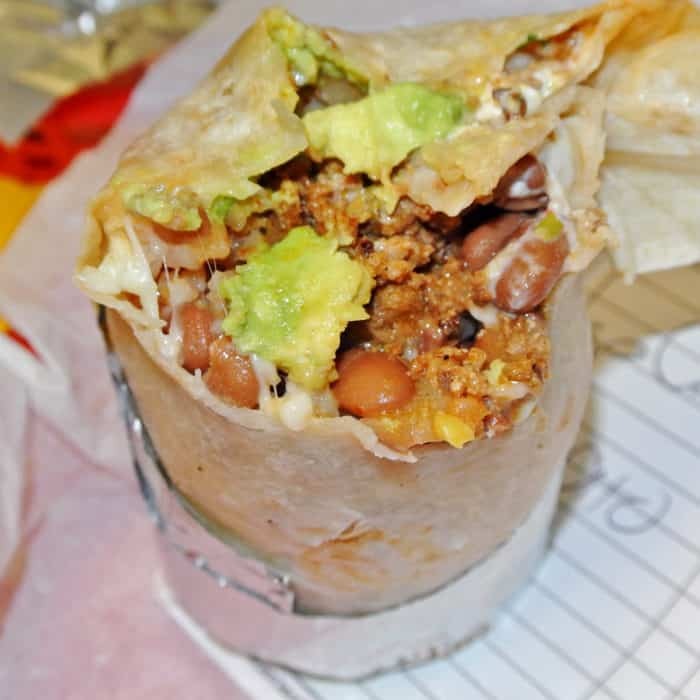 Now, I’m very well versed in the world of chorizo, but I’ve never had anything close to as deep, rich, meaty, smokey, and full-flavored as this burrito’s filling. Without a doubt this was the best chorizo I’ve ever had in my life and it served as an absolutely perfect filling inside this gargantuan tortilla-wrapped creation. In combination with the creamy complimentary addition of rice, beans, tomato, onion, cilantro, salsa, avocado, sour cream, and cheese, there’s no doubt in my mind that this is the very best burrito in the entire world. So, yeah. The people were right. This is the real deal and a cheap eats steal at only $6.75 for a ridiculously gigantic meal that really is bigger than a single person actually needs to consume in a sitting. 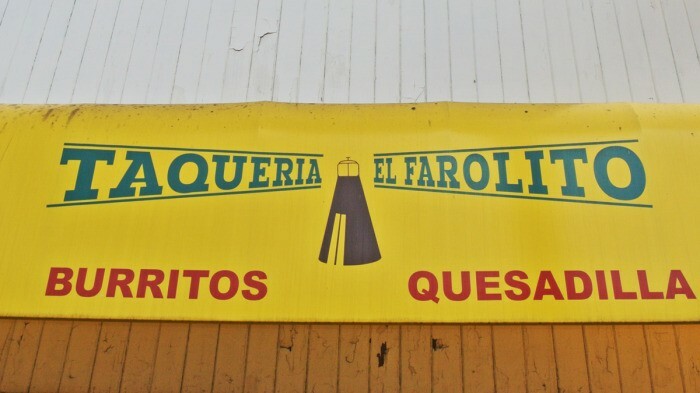 I may not have exhaustively eaten my way through all the supposed competitors (yet), but El Farolito certainly reigns supreme over any burrito I’ve ever had before. Bow down to the king. 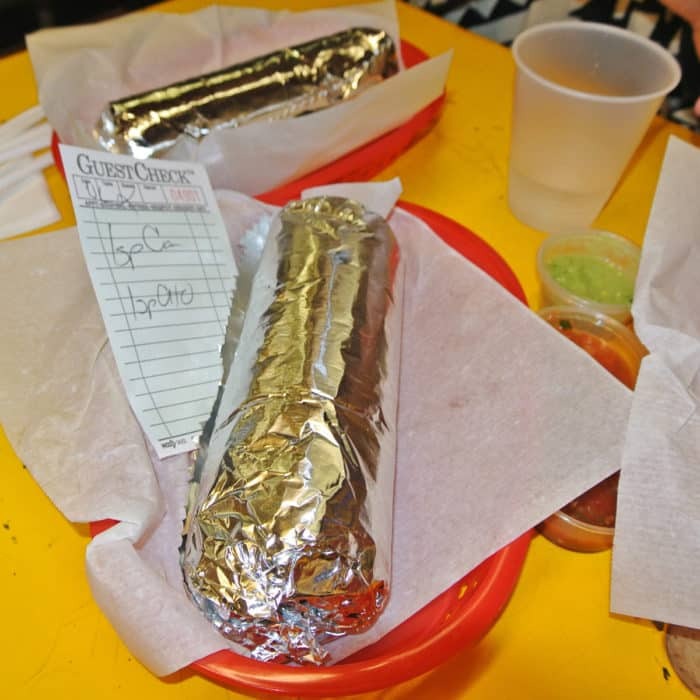 Think you know of a burrito better than the Chorizo Super Burrito at El Farolito? Let me know in the comments below.